I celebrated the return of the sun this morning with what else? Oatmeal! 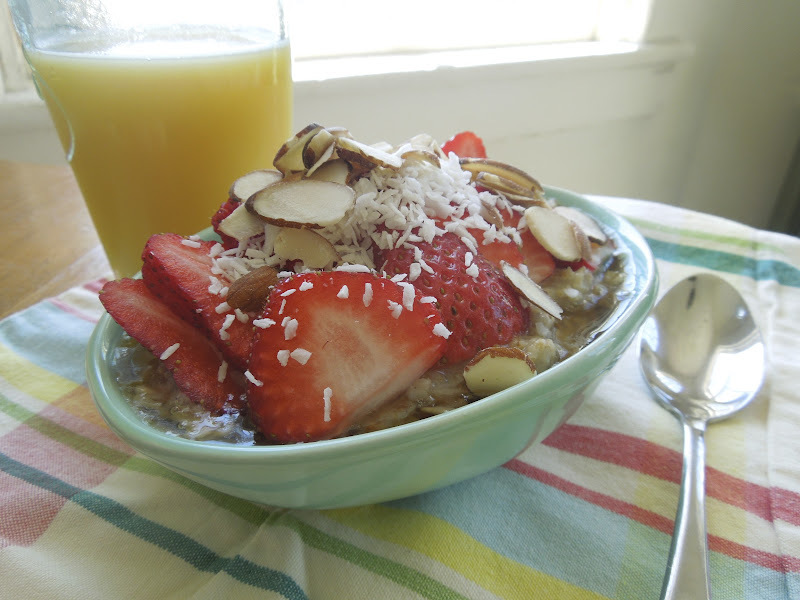 1/2 cup of rolled oats simmered slowly in 1/2 cup of water and 1/2 a cup of vanilla soy milk. A little cinnamon sprinkled in too and a pinch of salt. 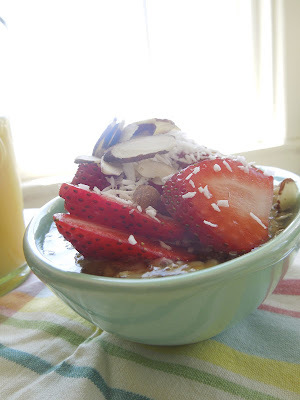 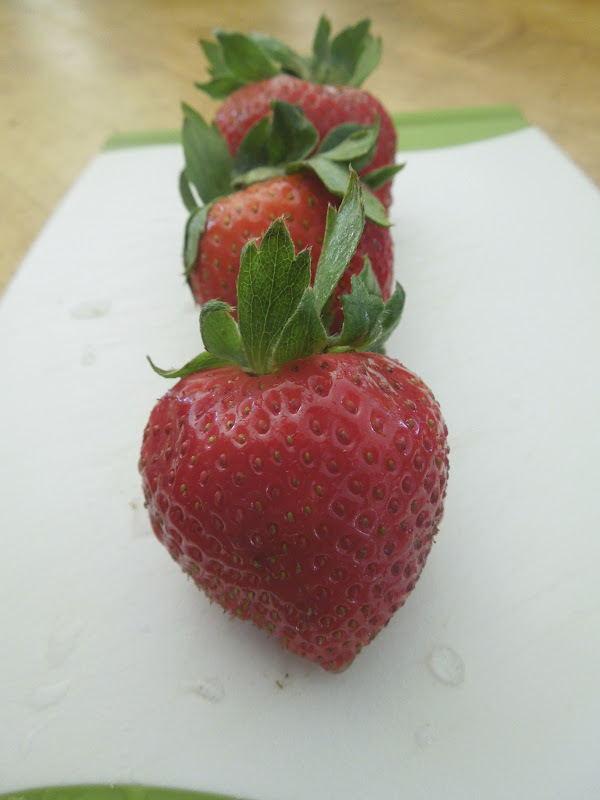 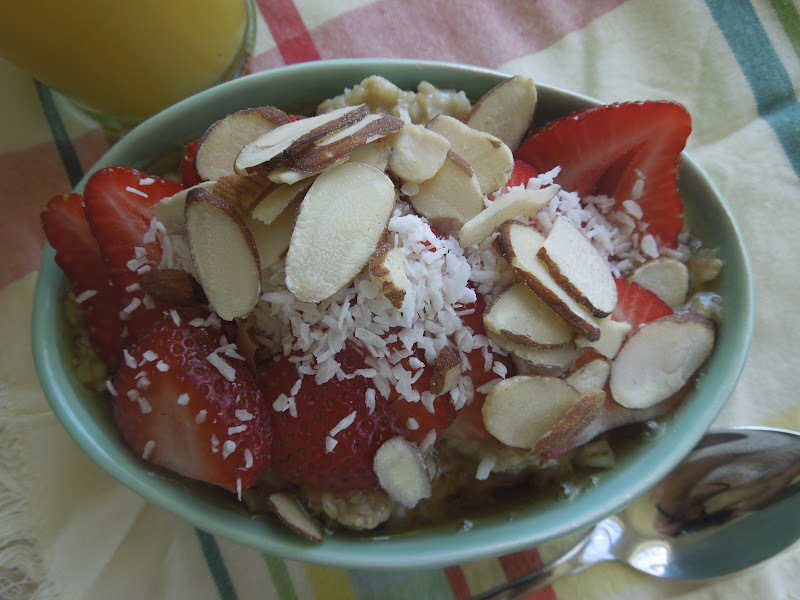 Oatmeal topped with three beautiful strawberries, almonds, coconut and a drizzle of maple syrup.